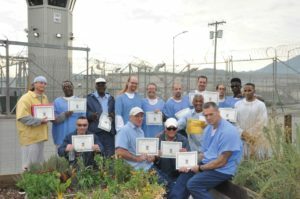 All 35 of California’s prisons may have the option to serve its 120,000 inmates vegan meals if Senate Bill 1138 passes, said CBS Sacramento. State Sen. Nancy Skinner, D-Berkeley, revealed legislation that ensures California inmates, and those in hospitals and nursing homes, the option to choose whether they want to eat meat or plant-based meals. The bill would require prisons to change their menus or have the choice to do so. The article writes that Bill Sessa, spokesman for the Department of Corrections and Rehabilitation, said most inmates already receive state-issued standard meals and about 10 percent receive special meals like Kosher, Islamic or vegetarian. The meal would give facilities and hospitals the choice also on what meals to serve, Skinner said. So far, no one has opposed the bill, and it passed its first committee hearing with a unanimous vote, the article said. Another advantage the bill would give to California is that adding vegan meals may help the state reach water conservation goals, the article said, because they require less water to produce than does meals.